Click here for the Psychology and Practice of Youth-Adult Partnership (Y-AP): Bridging Generations for Youth Development and Community Change – Zeldin, Christians, and Powers (2012): This article provides data and insights from the historical foundations of Y-AP, community based research, and case studies. The authors propose Y-AP as a unifying concept, distinct from other forms of youth-adult relationships, with four core elements: authentic decision making, natural mentors, reciprocity, and community connectedness. Engaging young people as partners in community change is a compelling idea, but translating that idea into effective practice requires focused attention to a range of issues. The principles described in this paper emerged from the commingling of research and practice that occurred when the Forum for Youth Investment merged with Community IMPACT! USA. The Youth-Driven Space (YDS) program, funded by Youth Driven Space Pilot Final Evaluation. The Youth-Driven Space (YDS) program, funded by the W.K. Kellogg Foundation, was comprised of a coaching/training model implemented in eight youth-serving organizations in Michigan. 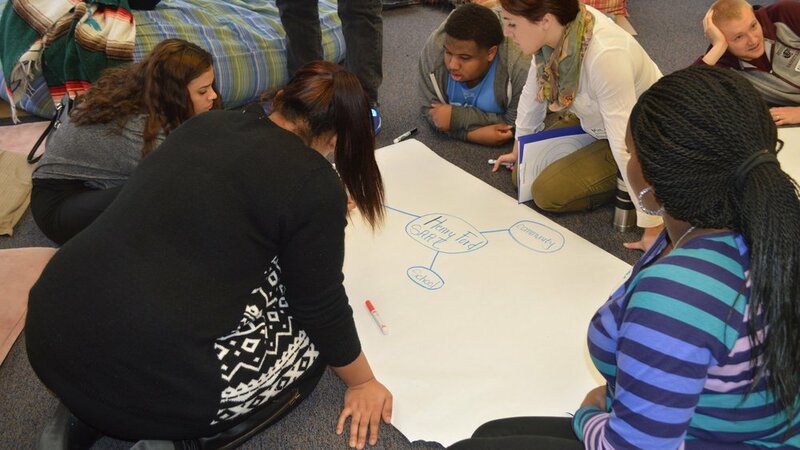 The program was designed to increase the capacity of organizations serving high-school-age youth to develop youth 21st Century skills (or “soft skills”), including collaboration, communication, problem-solving, critical thinking, teamwork, and leadership, by providing opportunities for youth to function within the management system of the organization. This evaluation report addresses the period between January 25, 2010 and December 31, 2011and includes a series of evaluation activities, including surveys, focus groups, interviews, and observations with youth, staff, administrators, and coaches.